This spectacular beach is famous all over the world for its sparkling white pebbles and turquoise water against a dramatic backdrop of sheer white cliffs. You’ll have to drive down a steep winding road to get there, but the effort is well worth the reward. You’ll feel like you’re swimming right to the edge of a lush green forest when you take a dip in Foki. Beautiful aquamarine waves lap up to sparkling white pebbles that in turn are covered by the shade of many trees. You’ll have to perch on rocks when ashore as it’s a small beach, but the view is amazing. Take a walk down the beach and visit the twin caves. You’ll be stunned the views and beauty of this beach. 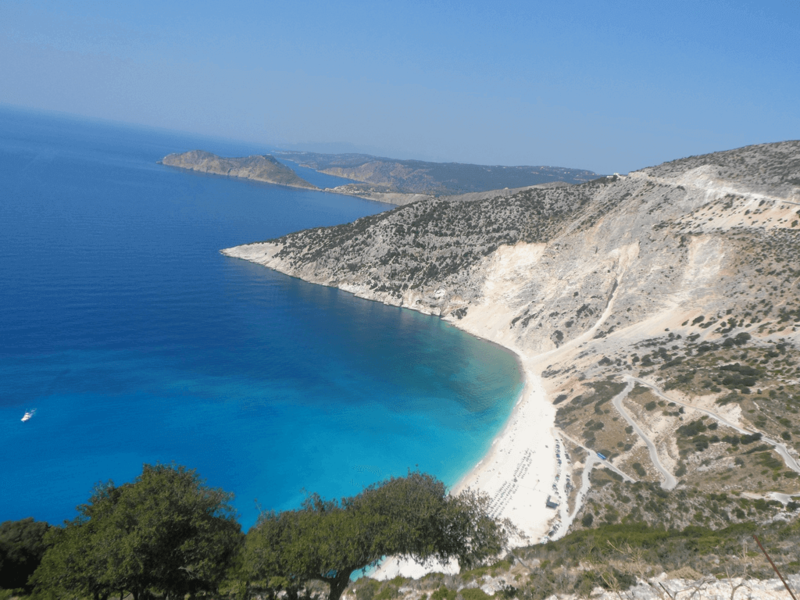 Although it’s not easily accessible – you’ll have to walk and then descend 330 steps that have been chiseled into the side of the cliff – the bright white shore coupled with crystal-clear azure water will make the trek worthwhile. 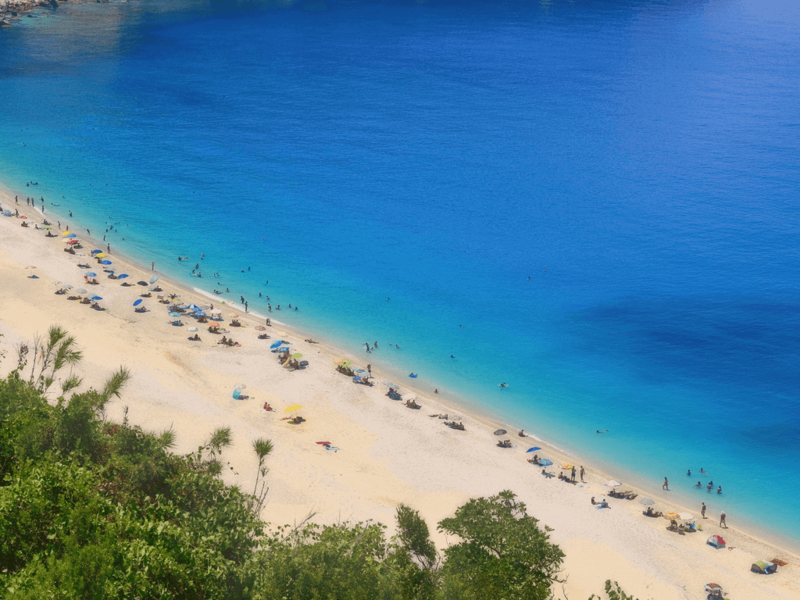 You’ll be able to walk from Xi beach to Langadakia beach, and the contrast is enormous. Langadakia beach is isolated, quiet, pebbled with crystal clear blue waters that are deeper than they look, so if you’re an adrenalin junkie, dive underwater and explore the seascape. Birdwatchers will enjoy exploring Koutavos Lagoon in Argostoli, as a number of birds seek shelter here. Ducks, geese, swans, warblers, flycatchers and herons are some of the species you’ll be able to spot. This is an important ecosystem for Caretta-Caretta sea turtles as well, and you can combine your birdwatching with a relaxing stroll through the eucalyptus forest on the banks of the lagoon. Although close to the island’s capital, you’ll feel like you’re in the middle of a quiet slice of countryside. If your ideal swimming spot consists of a beautiful white-sand beach and aqua-marine water, Atheras is a must-see. It’s kept a secret by the locals, and as such you’ll feel like you’re the only person there. Visit St. Spyridon Church nearby. If you love sandy beaches and exotic seas, this beach is a must for you. It’s quiet and offers you beautiful views of pine and olive groves. If you like to explore while swimming, there are underwater rocks that make for interesting dives. Locals and visitors alike are always stunned by the beauty of this beach. Clear blue waves lap up against a white pebble shore that’s framed by lush green forests and countryside. If you love water sports, this is the place to go. 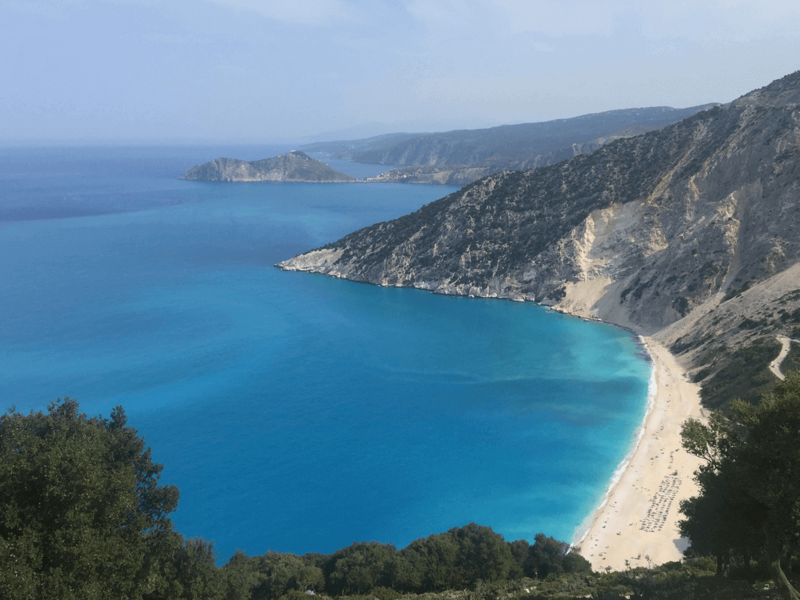 You’ll feel like you stumbled off Kefalonia and onto a deserted island when you find this beach. Take a short walk from Emblisi to find it. Isolated but beautiful, quiet but enchanting, make it a point to dive into the crystal-clear blue waters as you enjoy the uniqueness of this beach. This isolated and rugged beach is perfect for adventurers. You’ll have to hike down a difficult path from Halkes Springs in order to reach this beautiful white-pebbled beach. But the cool sparkling waters that hide a very interesting seascape will make it more than worthwhile.